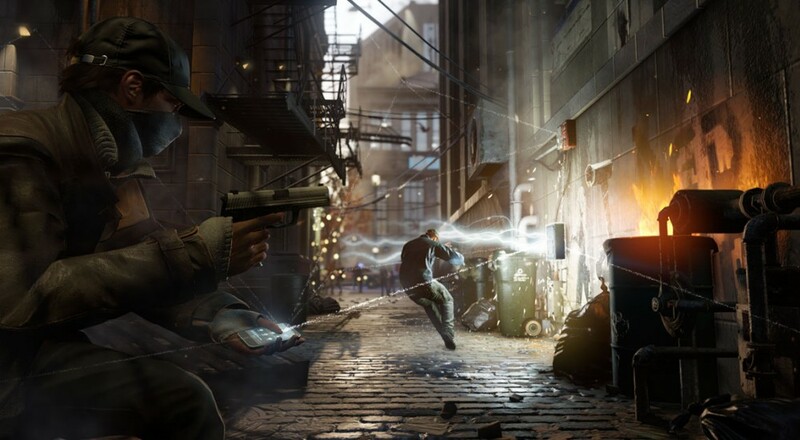 Watch_Dogs has been delayed until spring 2014. The official statement reads like half apology, half plea for forgiveness, especially given the amount of eager people out there who pre-ordered the next console packaged with the game. The folks down at Ubisoft Montreal do seem legitimately sorry that they yanked the carpet out from under so many people who were looking forward to this experience. If you have pre-ordered the Watch_Dogs bundle with either an Xbox One or a Playstation 4, contact the retailer in order to resolve any issues. Way back at E3, Ubisoft unveiled some Watch_Dog co-op gameplay involving a second screen. Anyone who has the Watch_Dogs app on their device of choice (tablet, phone, etc) can participate at the touch of a button. While Aiden Pearce (the main character) is a talented hacker capable of eluding persuit, even he runs into trouble every now and then. Anyone who has the Watch_Dogs app on their device of choice can participate in co-op madness. When Mr. Pearce finds himself in over his head, he can summon one of your real life buddies to his aid. While you attempt to evade capture by police or criminals your friend can assist by hacking into previously un-hackable doors, changing street lights to create traffic, or even taking virtual possession of a police helicopter, and flying it into the opposite direction. Player two can even crack into a news broadcast to deliver some well-earned snark for saving your bacon. Here's a trailer back from E3 displaying some gameplay and second screen support (which begins around 5:50). Asynchronous co-op isn't going anywhere anytime soon. To be honest, I kinda like the little additions like this. I'm always pleased every time co-op opportunities show up in a single player game without making some terrible compromise to gameplay. I hope more companies are willing to integrate bonuses such as this into more conventionally single player experiences.